Tritonal are an EDM duo from Austin, Texas consisting of producers/DJs Chad Cisneros and David Reed. The duo formed in 2008 and immediately began releasing progressive tracks, often in collaboration with vocalist Cristina Soto, that appeared on labels such as Anjunabeats, Fraction Records, and Coldharbour Recordings. Their euphoric anthems and ecstatic live performances quickly made an impact on the worldwide dance music scene, and by 2009 they had remixed tracks by major artists such as Ferry Corsten and Ronski Speed. 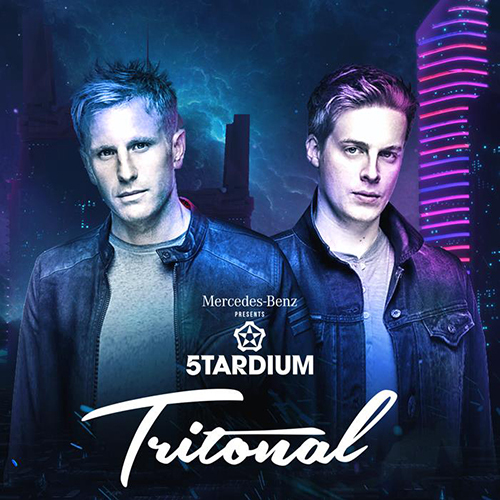 Tritonal’s debut album of original productions, Piercing the Quiet, appeared on the label in 2011, and eight of the album’s songs charted in the Top 20 of online dance music retailer Beatport’s trance charts. The duo remixed tracks by more kingpins such as Kyau & Albert, Markus Schulz, and Cosmic Gate, and Piercing the Quiet Remixed emerged in 2012. They began to appear on polls such as DJ Mag’s Top 100 DJs of 2012. 2018 brought a host of new singles and collaborations including “Out of My Mind,” “U Found Me,” “Calabasas” featuring Sj and Tima Dee, and “Just Like You” featuring Apek.